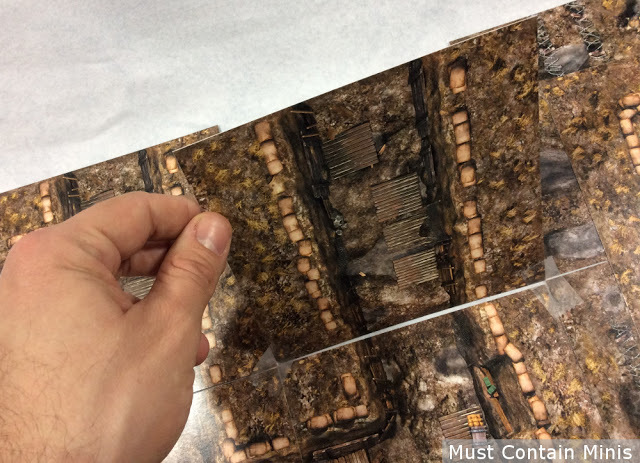 In this post, we review printed Trenches Map Tiles by Black Scrolls Games. 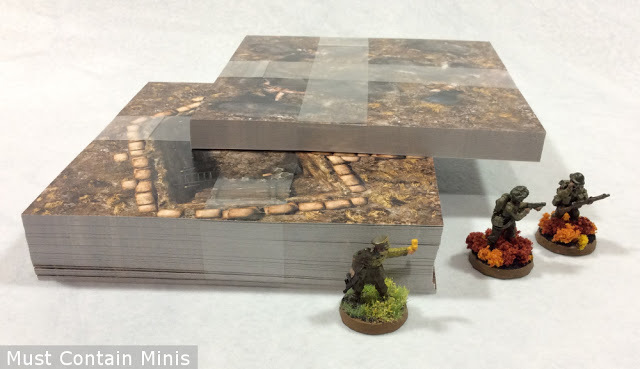 If you are into Bolt Action, 40K or any other miniatures game that could use trenches, check this product out. 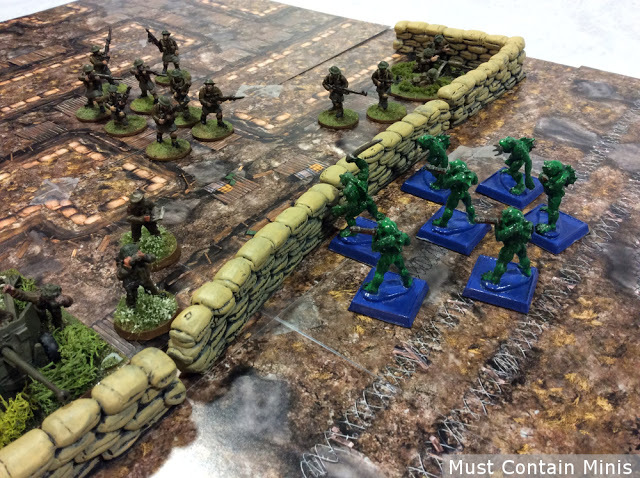 It is an affordable way to add trenches to your game. 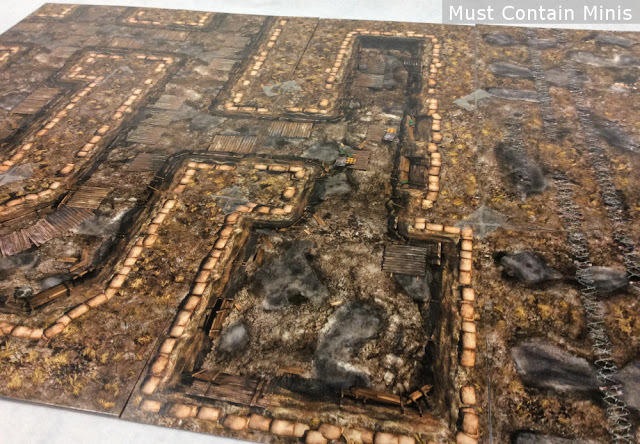 Review of Printed Map Tile Trenches by Black Scrolls Games. These tiles can be bought either printed by DriveThruRPG or in a digital file that you can print off yourself. The benefit of the digital file is that you can print off as many tiles as you want and the initial cost is cheaper. The set that I am reviewing today is the one printed by DriveThruRPG. Before going further, I would like to thank Black Scrolls Games for sending me these map tiles for review. 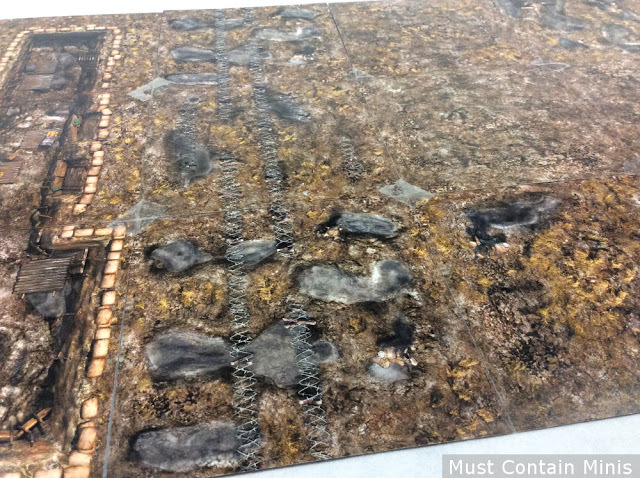 Now let’s take a look at the Printed Trenches Map Tile Set. The Printed Tiles. Above… The small stack is the Base Set and below it is the Expansion Set. The tiles themselves are 6″ by 6″. The base comes with 40 cards and the expansion comes with 90. To set these tiles up as a gaming table, you tape them together to fit the size profile you desire. You tape the tiles together to form a battle surface. 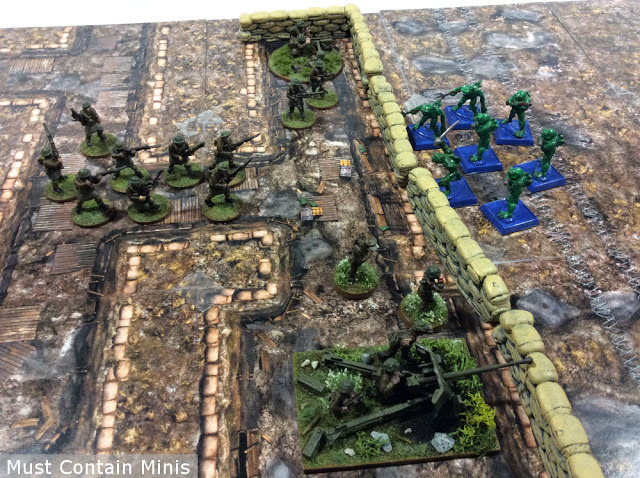 A Battle Mat is quicker, but these tiles can be more cost effective and have the advantage that 6-by-6 sections can be replaced out on the fly. Above, I did not like that the front trench lead off the table. To Change it, all I had to do was lift the tile, peal off the tape and tape in the piece that I wanted. You can see here that I switched the top right trench tile and the bottom left tile to something else compared to the first picture. The details of the artwork on these tiles is very good. Below are some samples. The artwork on these tiles is great. Every tile is also double sided. On the back of the tile above (with the barrels) is the same room but empty. 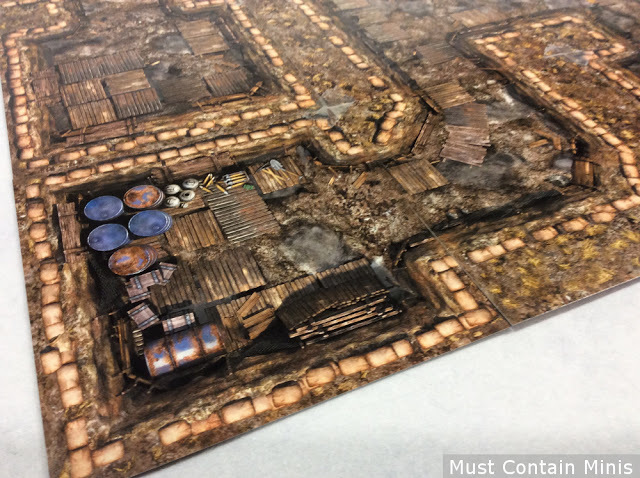 This could be handy if you don’t have an objective marker (you can use the tile and flip it over when the objective is claimed) or just for making the table look good. A great looking set. Some of the no-man’s land tiles also have barbed wire. On the right, I ran a length of barbed wire in front of the trenches. There is that barbed wire I mentioned. 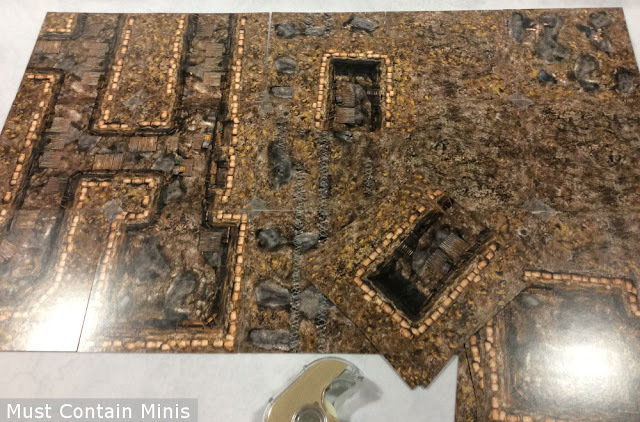 As a heads up, there are way more trench tiles than no-man’s land tiles in the printed set. If you buy the digital files, it doesn’t matter. Just print what you want. The printed cards come with 40 cards and the expansion comes with 90 more. To make a 4′ by 6′ table, you need 96 tiles. That means that for a 4′ by 6′ table you need both the base and the expansion (if you buy the printed cards). If you bought the digital files, just print what you need. The base set (for printed tiles) is enough to do a 3′ by 3′ table. The table I set up is a bit smaller, but it is for demonstration purposes. Once you have the tiles set up and add miniatures, the table looks great. This table is ready for Bolt Action! Men, mind those trenches and keep the enemy out! A look at the front line. The regular troops aren’t expecting any action so they are in the barracks section at the back of the trench. The nice thing about printed card is that you don’t need to worry about expensive terrain pieces. 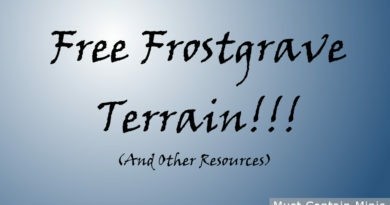 All the terrain you need is printed on the card. That said, if you have 3D elements, add them in and the table pops even more!!! In the picture above, we added some 3D trenches to the front line to make the terrain pop out more. Unfortunately, I don’t have any painted Germans, so I will have to use Deep Ones instead. They could be useful for anyone playing Achtung! Cthulhu, Konflikt ’47 or any other weird war game. I don’t have any painted Germans, so I will use Deep Ones by RAFM for demonstration purposes. 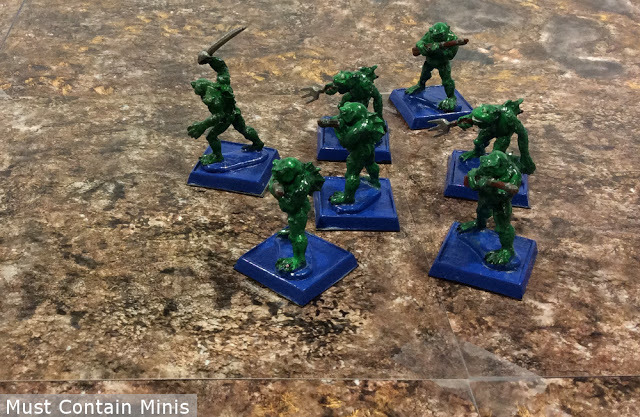 Below are some pictures of the minis in action. Attack!!!! The British troops wake up and rush out of their barracks to defend the front line. To their surprise, their assailants are a actually bunch of monstrous Deep Ones. Men, test your resolve and fire!!! 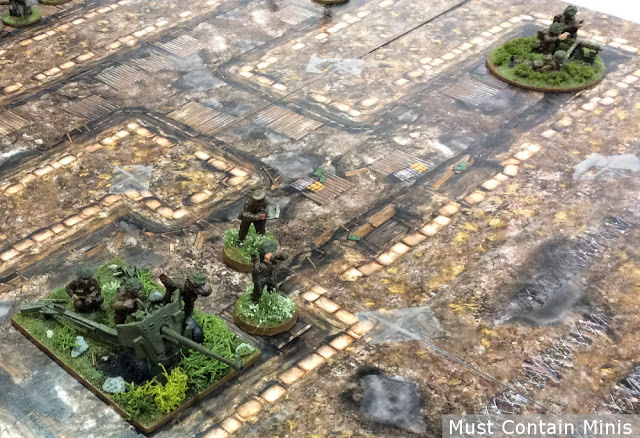 The 3D terrain on the board certainly adds a lot of appeal for a miniatures gamer, but if you don’t own model trenches, the tiles alone work just great too. The tiles work just great on their own (even without 3D terrain). 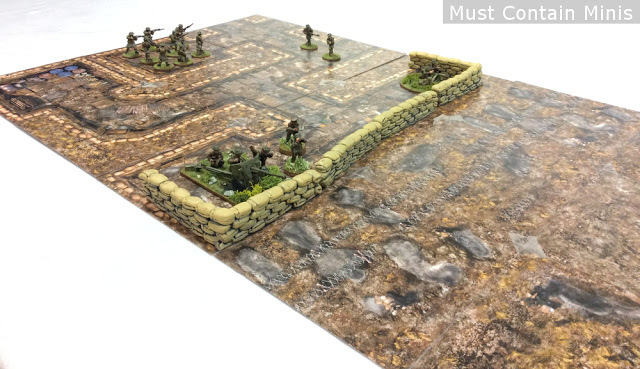 Personally, I like these tiles and really want to put together a 6′ by 4′ table for Bolt Action to represent the French or British defending against a German invasion in the early war (or Sealion) or to represent the Germans guarding Normandy during the late war. 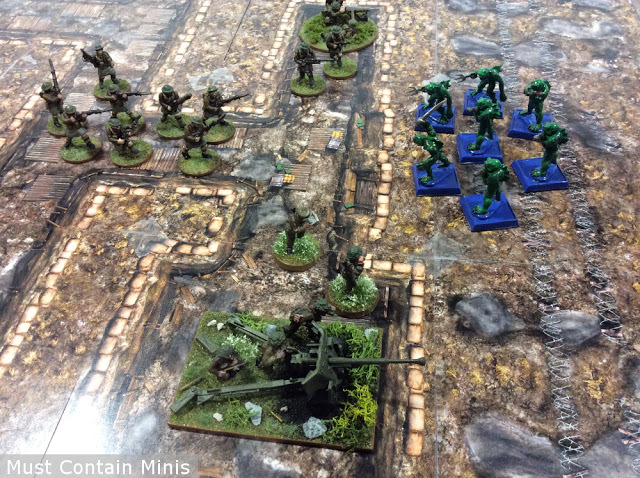 Hopefully I will have a Bolt Action Battle Report featuring these tiles in the future. If you are interested in the tiles for yourself, be sure to take a look at them on DriveThruRPG. Hopefully everyone enjoyed this quick review. We also have a review of their Tropical Islands Map Tile Set too. If you are interested in the 3D sandbags in this post, they are by Six Squared Studios. 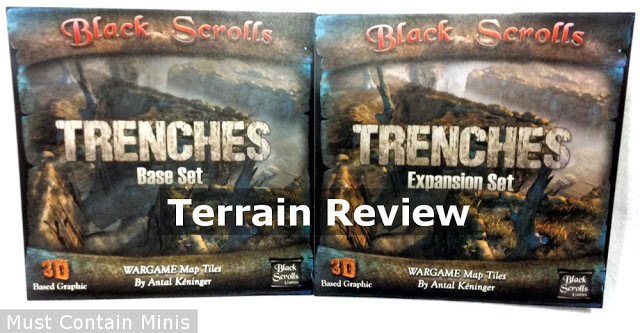 Black Scrolls Games sent Must Contain Minis printed copies of the Trenches and the Tropical Islands tile sets for review purposes. The quality on these tiles is quite good. This post contains links to DriveThruRPG. We have a sales affiliate relationship with the Wargame Vault and DriveThruRPG. 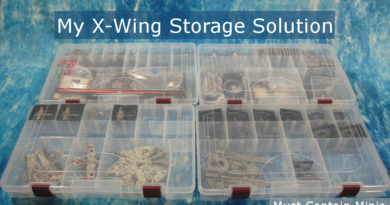 If you purchase something from those stores and use the links from this site, 5% of the sales price goes to supporting Must Contain Minis (at no extra cost for you).